Please note that the programs at TUHH are mostly taught in German as the main language of instruction. In case of application you have to prove sufficient knowledge in German language. An overview of the language skills and documents needed is provided here. The site “Learning german at the TUHH” provides Links to interactive tutorials on german language as well as interactive practicing for “Test Deutsch als Fremdsprache” (Test for German as a foreign language). The test itself is provided (amongst others) by IBH. Also useful are the online dictionaries Arabterm (a technical dictionary) and Arabdict, which isn’t entirely a technical dictionary but knows many technical terms. Find in the library material for self-learning the German language! 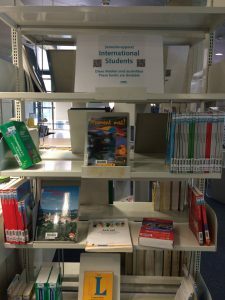 This entry was posted in Learning, University and tagged Refugees by Universitätsbibliothek der TUHH. Bookmark the permalink.